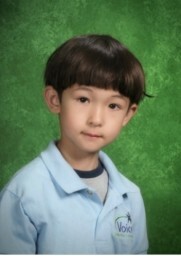 After learning to make apps at a very young age, Andy Bruce has become a child prodigy. Emmy, the mother and app developer from Silicon Valley, in the United States, helped make it a reality. Andy Bruce is a 10-year old boy, who developed and published a very creative app that is offered on the Apple store and the Google Play store. His game became very popular in both app stores. We recently invited Emmy for an interview. She will tell you how this little boy became a programmer. [cocos]: Can you introduce yourself first? [Emmy]: First of all, I’d like to thank the cocos2d-x team for giving me the opportunity to be here. I came to the U.S. in the early 90’s to pursue my master’s degree. After I got my master’s degree in computer science, I started my career and entrepreneurial adventure in Silicon Valley, California. Prior to founding AbiTalk, I worked in the internet/network security field, which involved a lot of algorithm and encryption/description, PKI/SSL, and so on. I started AbiTalk in 2011. AbiTalk mainly focuses on the mobile education market. 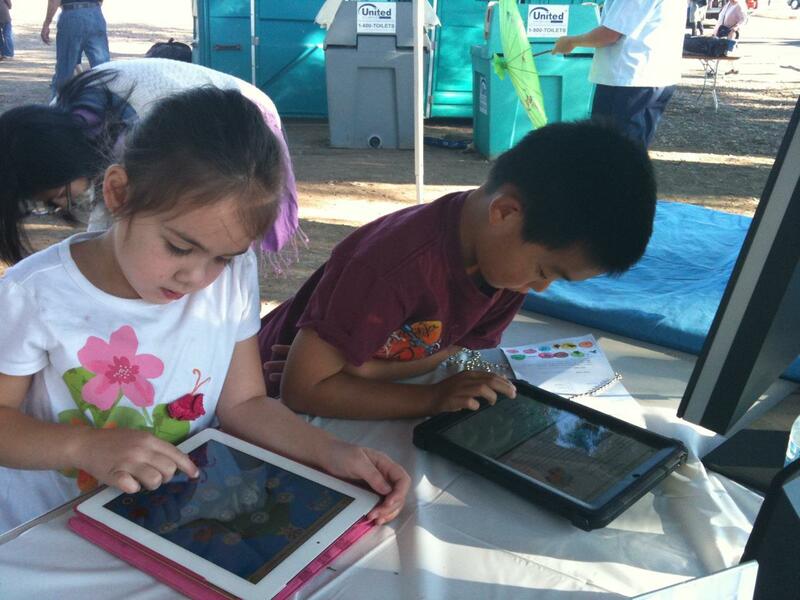 Our apps cover subjects like phonics, math, reading, science, language arts, social studies, vocabulary and more. [cocos]: 10 year-old kids usually play games. Not many of them make games by themselves. Please tell us how Andy started learning cocos2d game development? [Emmy]: My husband and I are both software engineers. We both have some influence on him. He has loved computers since he was a little boy. He loved computers and Lego robots. When the iPhone/iPad first came onto the market, he was so addicted to them. He played with the iPad a lot. He loved all the games offered on iPad. Very soon, he had ideas about new games, and he wanted to create his own. [cocos]: Why did you choose cocos2d-js as his starter kit? [cocos]: This game, the first game made by Andy, is amazing. It is hard to believe it was made by a 10 year-old boy. Would you please tell us more about how he made the game? [Emmy]: It is my pleasure. Andy has liked to play games since he was a little boy. He has played a lot of famous games. He wanted to make a spaceship game. I suggested that he make an educational game. He thought about it and decided to make a math game because he likes math. Then, he developed this app that combines both. The name of the game is “Jet Fighter Math Game”. The game is designed for kids between the ages of 6 and 8 years old. Kids control the jet, in order to shoot the rocks that have the correct answers to the math questions on them. Children will learn addition, subtraction, multiplication, and division when playing with the app. He found most of the images and music by himself. When we submitted the app to Apple for review, it got rejected. I did not understand why the app got rejected at the time. Finally, I figured out that he borrowed music from a famous game. I recommended some free sound websites to him, and he found some nice background music. His game got approved by the Apple store. [cocos]: How was the user feedback about the game? 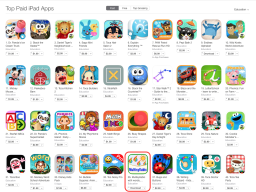 [Emmy]: When I put the game on both app stores, I did not expect it to do well, considering it was his first game. He designed the whole game, from different weapons and bullets, variations in speed, particles, and more. Other kids also suggested to make different type of jets. I am teaching a few kids cocos2d-js game programming every Sunday. Andy helps other kids during the class. He is my class assistant. [cocos]: How did you help Andy to become a game developer? [Emmy]: I did not put too much effort to teach him. I think he saw us making apps and he wanted to make some by himself. I trained him how to type. I think typing is a very important skill as a programmer. If he can type fast, he will be able to code fast. Now, he can type pretty fast. Also, I found that his thinking is very logical, and he learns new technologies very quickly on his own. For example, I might show him a programming concept very quickly and not expect him to fully understand it, but he will be able to use the new concept and extend it into other activities. He likes different kinds of actions in the cocos2d engine. He will use a wide assortment of actions to make many different animation effects. He is making another game now. The new game is about farm animals that attack farmers. He plans to publish the new game this summer. His growth has exceeded my expectations. I have also learned a lot from him. [cocos]: We heard that you have been working in the IT industry for almost 20 years. You are really a great predecessor. Would you please tell us little bit about your work experience? We believe this will be a great opportunity for us to learn from you. [Emmy]: I am very lucky that my work is also what I love. My bachelor’s degree is in civil engineering. I worked as a civil engineer for few years. I did not like the civil engineering work at all. When I came to U.S. for graduate school, I changed my major to computer science. I realized that programming is both my interest and my strength. After I graduated from graduate school in the middle of 90’s, I came to Silicon Valley in California and started my career and entrepreneurial path. By then, the internet had just become more readily available and brought the technological revolution into people’s lives. I got several offers from big companies like HP, Cisco, Netscape, and Microsoft. I went to a start-up company instead. Because of the experience from this start-up company, I realized the important opportunities start-ups have to offer. So, I started several different companies, some of which I worked at completely on my own. Others, I had partners to work with. Some of the start-ups became successes, while some of them failed. After that, I got married and had two kids. So, I took a few years off. I started AbiTalk in 2011. AbiTalk became a leader in developing mobile educational apps, with over 300 apps. This year, I started to focus on speech therapy and special needs/special education apps. 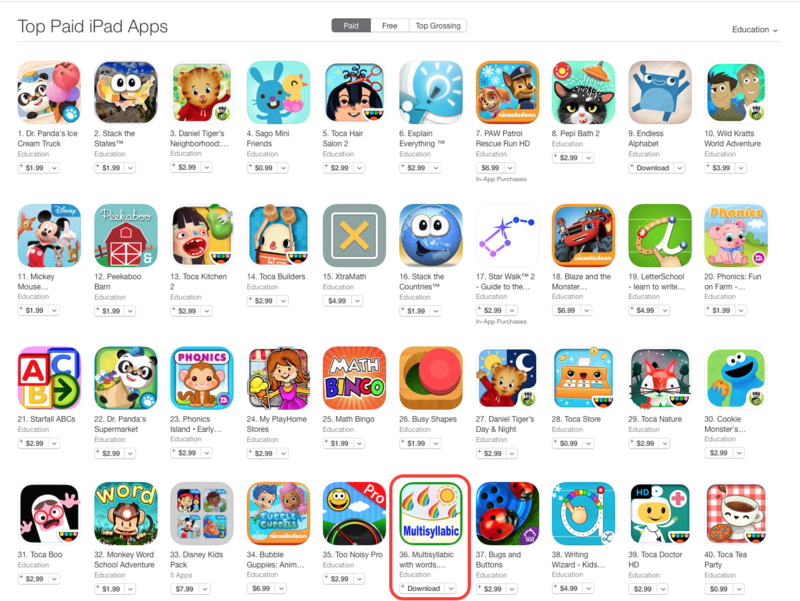 So far, I have published 5 speech therapy and special education apps. These apps are groundbreaking and like no others you will find on the app store. We have received a lot of positive feedback and reviews from our users. The special needs/special education market is still new to me, so I plan to put more effort into it. Many people think that computer jobs are for young people. I don’t really agree with that. I think, in the IT industry, you can always learn new technologies regardless of your age. The IT technologies change very fast, so I have to constantly learn new skills and improve myself to keep on top of things. [cocos]: So as an indie app developer, you funded AbiTalk Inc., and published more than 100 great education apps, became the leader in the mobile education market. 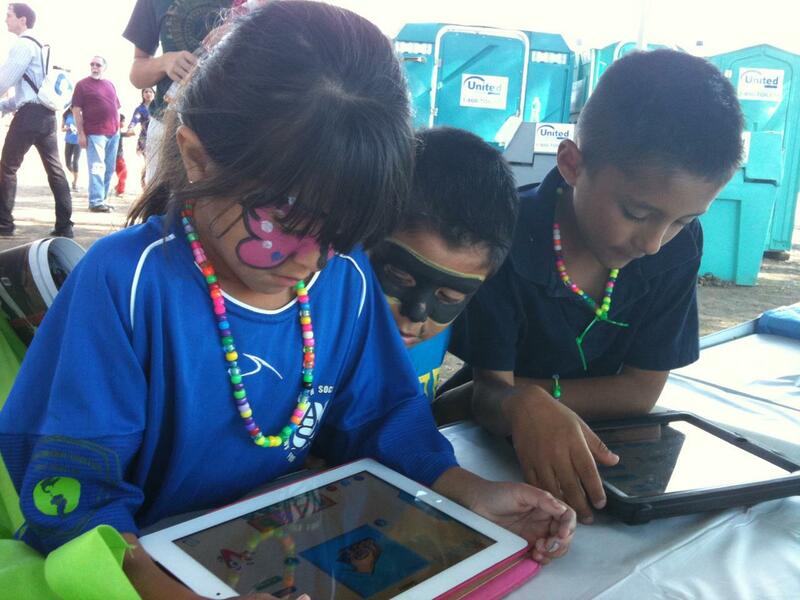 Would you please tell us what made you start developing educational apps? [Emmy]: The reason I started AbiTalk is because of Andy. Like I mentioned earlier, when the iPad/iPhone first came to the market, he, like other kids, was very addicted to the mobile games. He was in kindergarten but playing games all the time. He was behind in terms of reading and vocabulary. He was struggling with phonics, sight words, vocabulary, and reading. 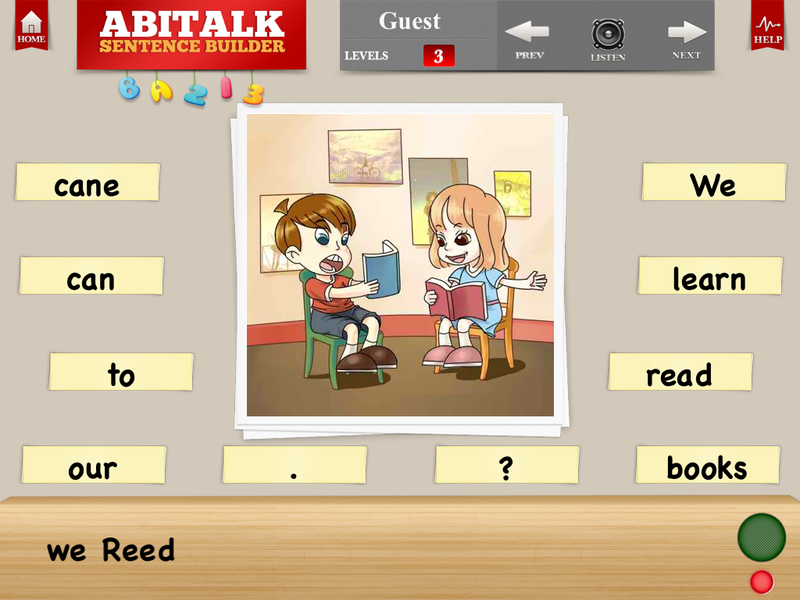 I thought “if I can make some fun phonics learning games on iPad/iPhone, it will help him”. I bought some workbooks and read some online tutorials about making iPad/iPhone apps. Two month later, I published a couple of phonics games on the Apple store. These apps got a lot of positive feedback from many users, as well as high rankings in the Apple store. So, I continued to make more and more apps. I get a lot of feedback and input from teachers and parents. They contact me when they need something that is not available on the market and ask me to make the app for them. Then I develop the app and publish it on the app store in few weeks. That is why I always have many new ideas and many new projects to work on. 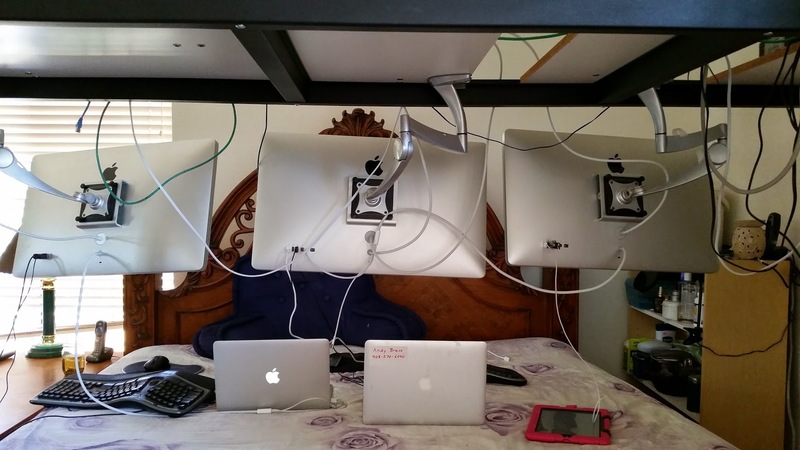 [cocos]: What is your experience as an indie developer and having your own app business? [Emmy]: As a female developer, I feel very special. I have a big advantage over male developers, as a female developer. Especially in the educational app market, most customers are school teachers, mothers, and speech therapists. Most of my customers are females. This makes it easier for me to communicate with my customers and to get support and feedback from them. Many of my users became my close friends and partners. 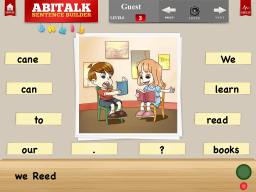 AbiTalk education apps are widely used by schools. Phonics apps, reading comprehension apps, our sentence builder app, and others are the first choices of teachers and parents. I have a couple of people who help me with marketing and sales. I have a person who works on the release engineering, and one system admin at the back-end. I also hire some contractors to make content for me. I am the only one working on the design and development. [cocos]: Many AbiTalk apps are developed using cocos2d engine. What make you to choose cocos2d engine over other game engines? [Emmy]: Some of the AbiTalk apps are built using native languages from Objective C and Java. Some of them are built using cocos2d-x and cocos2d-js. If an app requires a lot of native platform features like video/audio recording, I will use native code. Most of my latest apps are built by cocos2d-js. The reason I choose cocos2d engine is the cross platform design and easy simple API. The feature I like the most is AssetsManager. If there are few minor bugs, I can fix them on the server side with no need to submit the new updates. It has saved my life several times. [cocos]: How do you think we can improve cocos2d engine? [cocos]: Thanks for your support. We already support webview in v3.3. New audio engine supports to call back after the audio too. You are welcome to try these new features out. We will add the video/audio recording feature in a future release. [Emmy]: Great. I will definitely try these new features. [cocos]: Thanks, we are looking forward your support and suggestions. During the development, did you get the support from cocos2d? [Emmy]: I got a lot of support from cocos2d-team. They are always very supportive and help me solve any development issues I have had. So I can say, without the cocos2d team, I could not have developed so many apps. They are very professional. I always recommend cocos2d engine to other developers. [cocos]: Thanks for your support. You are the expert on education market. What are your suggestions to the beginners about learning cocos2d engine? [Emmy]: I really like cocos2d game engine. The API is very simple and clean. The API is also easy to understand and use. Cocos2d provides the best cross platform engine. The cocos console is very useful, and it makes the cross platform development very simple and straight forward. I think, for beginners, cocos2d is the best engine to start with. It is very easy to use, and the samples are very clean to follow. 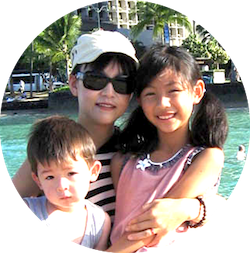 [cocos]: As an outstanding developer, you are also a great mom. Can you tell us little bit more about how you balance your time and effort between these two roles? [Emmy]: To be honest, I focus on my apps and business most of the time. I do not spend too much time with my kids, but I want them to be independent in both life and studying. They are very independent. I think as parents, we provide them a good environment for them to grow. We must really rely on their own efforts when it comes to success. I taught my son how to program and how to make games. I was spending quality time with him, while he was learning something from me. I teach a few kids game programming and cocos2d-js every weekend. They use cocos2d-js to make some little fun games. During the holidays or school breaks, I will take them and travel. We spent a lot of time together during the trips. They have been to many different countries and learned the local history and culture of each one. [cocos]: Is there anything else you’d like to say to everyone? [Emmy]: Thanks, cocos2d, for the opportunity to be here. I also appreciate the help and support from the cocos2d team. I hope cocos2d will have a very successful future. The majority of my apps are selling in the North American, Australian, and European market. I hope to service the Chinese and Asian market too. Lastly, I hope more children will learn the cocos2d engine and become the successful game programmers of the future. [cocos]: Thank you so much, Emmy. I hope you have a successful business and happy family.